Threads is an ongoing exploration involving painting, time-lapse photography, and video. In the painting process, thin stripes or 'threads' of latex paint are thrown across a slightly inclined surface. A programmed camera records the painting process at regular intervals (6-12 shots per minute). 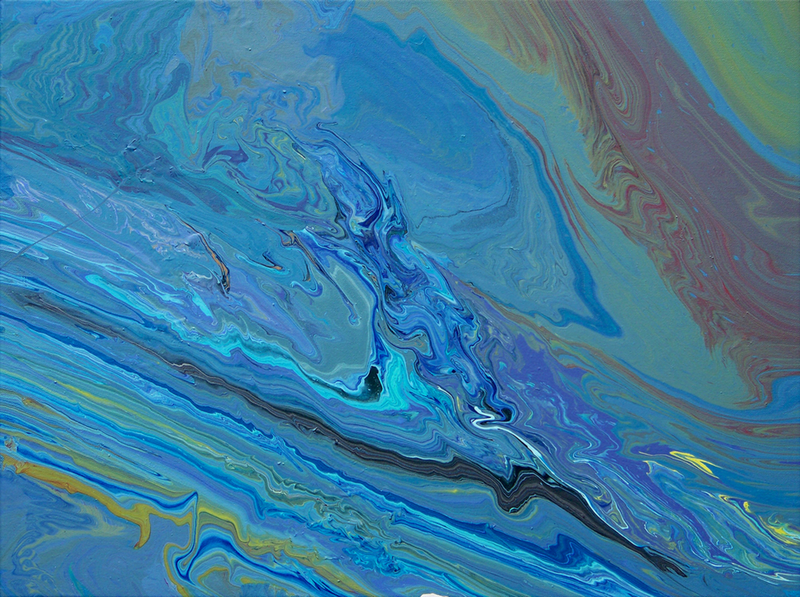 As gravity begins to act on the viscous accumulations of paint, the colours interact with and affect one another. This movement is too slow to perceive well in real time, but when the photos taken over a period of several hours are combined into a video, the static paint comes to life as a moving cascade of colour. The 'threads' become actors in an abstract narrative. In some of these experiments, the surface used is actually loose canvas draped over an uneven surface instead of a flat one. Viewed from above by the camera, the contours are imperceptible until the liquid paint begins to build up and gravity slowly forces it to travel downwards, revealing the hills and valleys of this temporary topography. The canvas itself, dried and stripped of this topography by being stretched flat, still tells the story of the paint's movement. 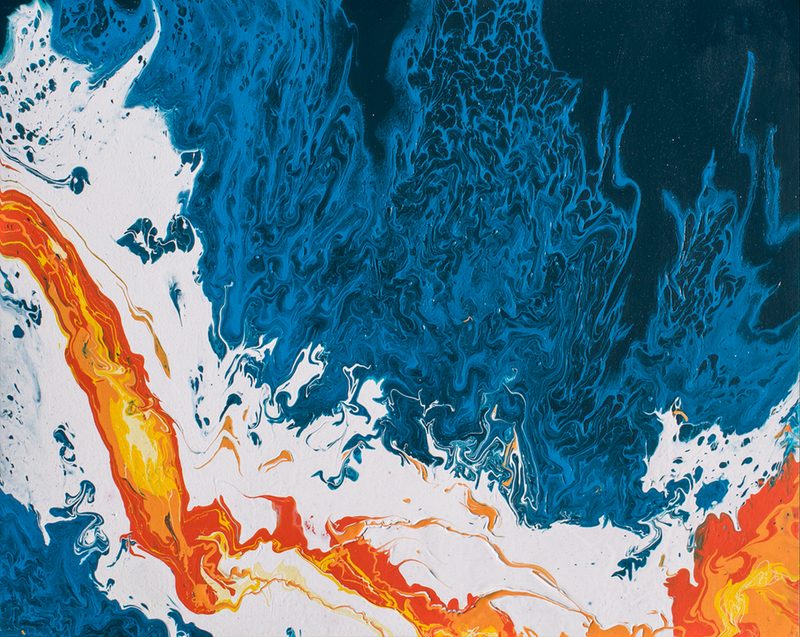 These canvases form a series called "Relief Release," while the paint that travels down off the canvas is collected and poured onto new flat surfaces to form the "Runoff" series. Below are the first three videos in the "Threads" series.